Many of us grew up following the food pyramid guidelines. We were told we needed at least 2-4 servings of fruit and 3-5 servings of vegetables. They sat right next to each other on the pyramid, and despite the slight number difference, they seemed equal. Fruit and vegetables are recommended as part of a healthy pregnancy diet. Eating plenty of fruit is particularly suggested as a way of curb the cravings for sweet foods like chocolate and sugary soft drinks. So, if fruit is healthy, could it cause any health problems? 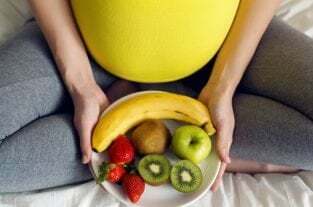 New research found a strong correlation between eating a lot of fruit during pregnancy and developing gestational diabetes. How Could Fruit Cause Gestational Diabetes? It’s important to note a correlation isn’t necessarily a cause, rather a connection or a link. However, this study found women who consumed large amounts of fruit had a 400% increased risk of developing gestational diabetes (GD). Diabetes is diagnosed when someone has too much glucose in their blood. In the case of GD, this only occurs during pregnancy in a woman without type 1 or type 2 diabetes. The reason a woman without type 1 or type 2 can develop diabetes during pregnancy is due to hormones from the placenta which impact blood sugar. Consuming a lot of fruit means you’re consuming a lot of fructose. While it’s a naturally occurring sugar, and far better for you than processed sugars, fructose can still impact your blood sugar. Consuming large amounts of fruit on a regular basis appears to have the potential to impact your blood sugar in a way which significantly increases your risk of developing GD. How Can Something Natural Put You At Risk For GD? During pregnancy, we’re told to avoid sugary soft drinks, limit caffeine intake, don’t drink wine, watch total sugar intake – the list of things we shouldn’t do or that we need to do during pregnancy can feel ridiculous at times. If we lay off the processed foods, how can consuming something as natural as fruit put us at risk for GD? After all, we’re told to consume whole foods and fruit is certainly a whole food. Fruit provides us with fibre, some calories, and a variety of nutrients including vitamins and antioxidants. However, generations of modern farming have impacted the nutritional content of fruit, including the amount of fructose. Much of the domesticised fruit we consume has been bred over years to be sweeter and more appealing. As a result fruit has higher levels of fructose. So, while fruit is a natural and whole food, much of what we consume may not actually be as nature intended. Now this isn’t necessarily all bad. Many of the agricultural advances have been beneficial, but this does help us understand how even whole foods could impact our health in negative ways. Should I Stop Eating Fruit When Pregnant? In short, definitely not! Eating a well balanced whole food diet is an important part of getting adequate nutrition. As mentioned above, fruit contains fibre, vitamins, antioxidants and more. This study didn’t find simply consuming fruit increased the risk of GD, it found large quantities increased the risk. It also found fruits with a moderate to high glycemic index (GI) were associated with a higher risk of GD. Citrus and tropical fruits tend to have a higher GI. Consuming the recommended amount of fruit, which is about 1.5-2 cups per day, is beneficial for most people and shouldn’t increase the risk of GD. Consuming more than that may not always be a risk factor if you’re active and have an otherwise healthy diet. If you consume protein and low GI foods, avoid processed carbohydrates, this can help keep blood sugar levels stable. Your choice of fruit can also make a difference. Consuming fruit with a lower GI can help you get more nutrition without having as much of an impact on your blood sugar. You may also want to aim for more vegetable servings for nutrition than relying on fruit. If it’s exclusive to pregnancy, and goes away after birth, is GD really that big of a problem? 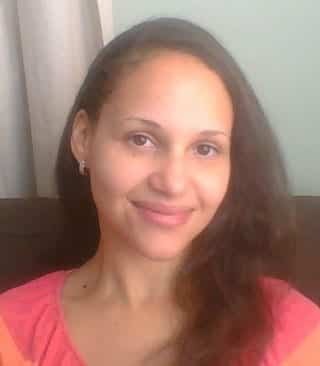 While many women can have GD and no lasting effects, it’s not without risk. Having GD can lead to a number of pregnancy complications. Your baby to grow larger than they would have without GD, and even if this doesn’t happen, being diagnosed with GD automatically ups your likelihood of interventions during pregnancy and birth. GD can cause blood sugar issues in newborns. Babies of mothers with GD can develop low blood sugar (hypoglycaemia) in the hours after birth, because their own insulin production is high. If the episodes of hypoglycaemia are severe, this can cause seizures. Newborns at risk for hypoglycaemia need blood sugar testing every few hours until their glucose levels stay stable for 12-24 hours. If you have GD and you manage it well, many of these risks are greatly reduced and in some cases eliminated. However, if you don’t properly manage GD, there can be serious risks for you and your baby. Be sure to read Gestational Diabetes – Diet and Symptoms to learn more.